Hello world! It’s been a little over a week and we once again have a TON of updates for Frank from Earth! Mike and the gang have been busting their asses to get FFE up and running for our Phoenix Comicon debut May 25th-28th. There’s a lot of great updates with new items, a new player UI and other important bits. Let’s get this started! We added a few additional inventory items and item pick-ups during the game play; cosmic shards, cat tags, bones, hearts, gold items, and our two current weapon choices (gun and sword). Very simple items, but they will continue to grow with the build and future updates. All items will be scattered randomly on the map or the enemy cats will drop items when they are killed. When picked up, they will be shown in the UI on the top left of the screen of the game. The drop system is weighted and is really simple to update and tune. Here is what the drop system for the red cannon cat looks like in the Unity Editor. We use this same component to spawn cat skeletons and hearts as well. Items will now be shown in the Player UI. 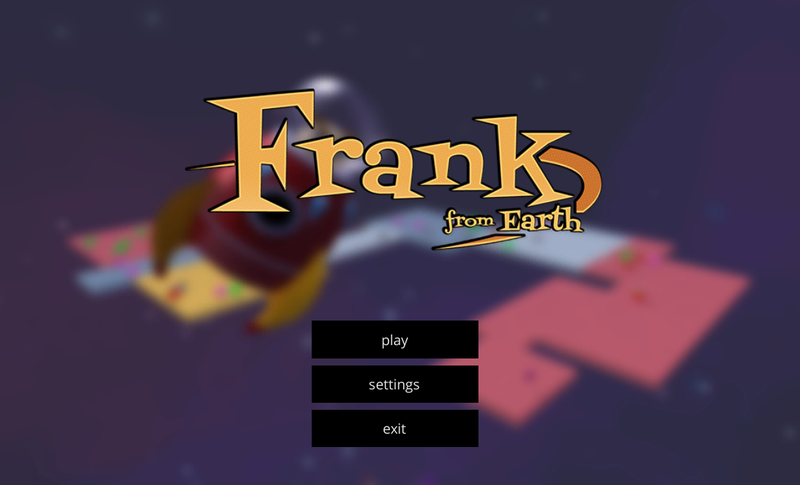 We added an animation of Frank for the player in the UI. Eventually we want to have the animation of Frank pay tribute to an iconic game that had facial movement in the player UI animation; Doom. Doom was way ahead of its time with facial movement in the player UI and we absolutely loved that feature, so we thought it would be a great little and fun feature to add to the game. We will add this in the future, but wanted to pay homage to Doom, so thanks for showing us the way Doom! Here is what the character UI looks like as a whole. As the date get closer, there’s more and more work to be done to be ready for the Phoenix Comicon Convention. We’ve been getting into the legal boring stuff like becoming an LLC, filing tax forms, and filling out random paperwork, but it has been a great learning process! The most useful resource we found was Ryan Morrison’s Ultimate Guide to Legal Needs. There he provides a great step by step breakdown of what you need to do when starting a new company. Honestly, this guy is a legend and gives loads of advice all over Reddit. I highly suggest checking out his AMAs and other posts. He actually just posted this Saint Patty’s Day Recovery AMA that is jam packed with useful information. Then there’s the more fun stuff that we have been preparing physically for the Tiny Phoenix booth! Booth layout, TP merchandise, t-shirt designs, banners, business cards, etc. We should have a few t-shirt designs ready to share with you all here in the next few weeks. 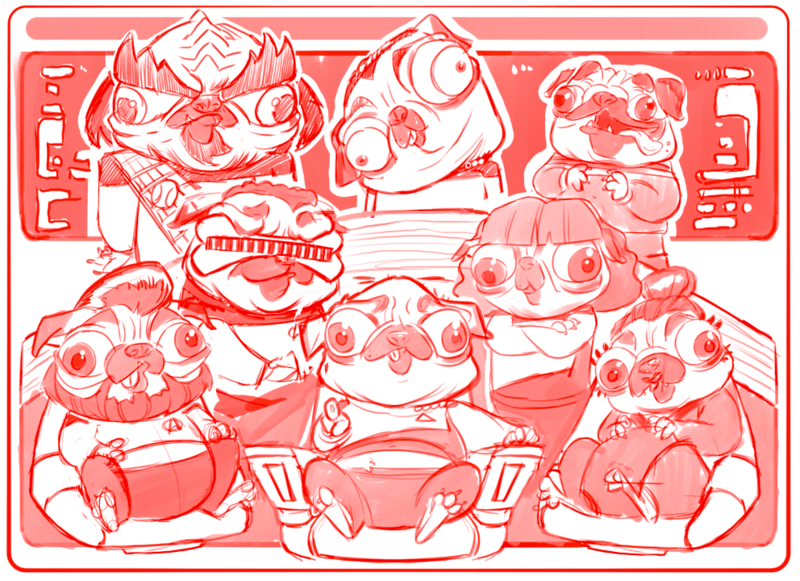 Until then here is a sneak preview of Captain Pugcard and the Gang! Make sure you come and support our tiny company! Don’t forget Arizona natives, Phoenix Comicon will be on May 25th-28th at the Phoenix Convention Center. Until then, we look forward to the feedback you give us and will work from there.